Yes, Yes, as we all do at times……I fell off from my goals. I dedicated myself over the past week to getting back on track through detoxing and cleansing through the methods of Apple Cider Vinegar Pills, Mag07 Colon cleansing pills, and Intermittent fasting. The Jj Smith 10 Day Green Smoothie Cleanse. 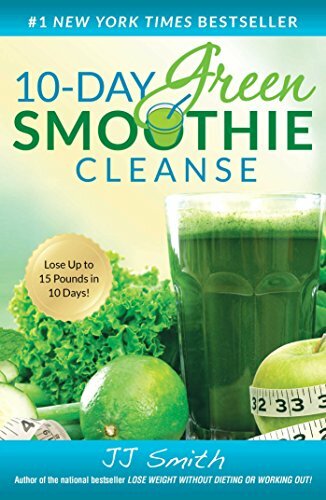 This cleanse is designed to help someone get a jump start on detoxing, cleansing, and their overall weight loss journey. The full cleanse involves drinking a full 72 oz smoothie split into breakfast, lunch and dinner with no sugars or carbs; as for the modified version it is a smoothie for breakfast and lunch and a healthy meal for dinner also without sugars or too many carbs. I have in fact tried this cleanse before but not in over a year and the hardest part is getting through the first few days. I plan to be disciplined and push through these next 10 days along with going to the gym for at least 5-6 of them. This is to feel better rather than to just look better. I do plan to do this cleanse with intermittent fasting still. I will not eat until 12pm or after 8pm…..Day 1: October 16th. Keto- Fallen off the Wagon: WHAT DO I DO? This smoothie cleanse definitely seems challenging but also so rewarding. You got it girl! Mind over matter, you can do it! Sounds disgusting. Or looks disgusting? But, we do eat with our eyes. I have been wanting to try a really great cleanse! How did it end up for you? Did you lose weight? Feel better? Restore your energy? am on day 4 and it is definitely easier. The first few days getting started are the hardest but my cravings are almost completely gone! My energy level is pretty good! I am on day 4 and it is definitely easier. The first few days getting started are the hardest but my cravings are almost completely gone! Call me crazy- but I LOVE green smoothies. I don’t even have to add sweetener- kale and pineapple smoothies are my favorite. Call me crazy again- but I also love the taste of apple cider vinegar and love the effects of it. You can also use it to wash your face naturally! I don’t do that but my mom does and she loves it. lol! I heard that about using it on your face. I have pretty good skin but it is sensitive so I am scared to try it but I hate the taste of it lol. I love smoothies, but I’m not sure if I can drink the same smoothie for 10 days in a row.